According to the 1992 U.S. Bishops’ Pastoral Letter, Stewardship: A Disciple’s Response, a steward is defined as a disciple of Jesus who “Receives God’s gifts gratefully, cultivates them responsibly, shares them lovingly in justice with others and returns them with increase to the Lord.” Stewardship is a way of life and is best understood within the context of conversion and evangelization. The disciple is motivated to share his/her time, talent, treasure, and assets with the Church and other worthy causes from a deep sense of gratitude and in a planned, proportionate and sacrificial manner. 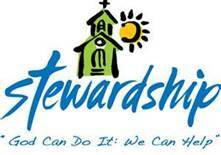 Click here for a reflection on Stewardship.